Don't Cuff Their Stuff | Music | Style Weekly - Richmond, VA local news, arts, and events. Two basses, a talk box and the truth: Kid is Qual is Jonathan Sullivan, Chris McClish and Mike Bryant. I hadn't seen Jon Sullivan for years when I made the trek to watch him perform at the upscale Troubadour rock club in West Hollywood, Calif., in late 2008. 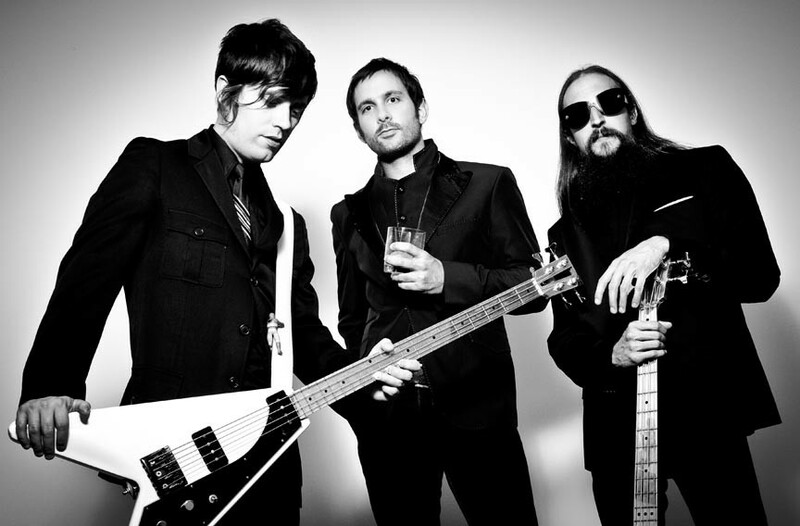 He was playing bass in Jack's Mannequin, which was headlining a sold-out show. Sullivan seemed more than content. He had joined the internationally successful band through other friends who also were members, and both the band and its fans enjoyed not just his skill on the bass, but also his eccentric nature. As the music got under way, I noticed that Sullivan had arranged some expensive comic-book toys from Marvel and Transformers around his stage equipment, and I smiled, recalling that the same memorabilia had filled Sullivan's apartment during our college days at Virginia Commonwealth University. Band leader Andrew McMahon tore up the piano during the band's driving pop ballads and even stood on top of it for a few, but Sullivan's little totems made that part of the stage his own. Like a lot of artists, Sullivan has his own way of doing things, especially his own lingo. Rarely does he let a sentence go without "right and tight," "son," "olé," or one of his many other well-known catchphrases. When the Transportation Security Administration introduced its enhanced pat-downs a few years ago, Sullivan coined the phrase, "Don't cuff my stuff." "Qual" is yet another neoSullivanism, as in Kid Is Qual, the name of his latest solo project, a dance-flavored rock band that might best be described as indie rock meets Zapp — as in "More Bounce to the Ounce" and "Computer Love," the comparison due to Sullivan's use of a talk-box instrument famously employed by the late Zapp frontman Roger Troutman. Though highly danceable, Kid Is Qual isn't a retro-funk group. "A lot of people say we're like a live Daft Punk," Sullivan says. His talk-box vocals are fast and furious and ride on an unusual combination of two bass players and a drummer — no guitarist. Sullivan explained the set-up during a recent interview with Alternative Press, noting he can "cover what most guitarists would do, and I do it on a bass." Kid Is Qual released its latest EP, "Ladies Choice" (yet another Sullivanism, with many layers of meaning), on April 10 at a release show that week at Gallery5. Sullivan says he learned a lot from his experience with Jack's Mannequin, and even though he hated to leave in 2010, the decision seems to be paying off. Recently Kid Is Qual played back-to-back, sold-out shows around New Year's Eve with Ween; it got Jerry Reed's grandson Jerry Roe to play drums for the "Ladies Choice" EP; and it's a favorite of the editors at Alternative Press, who included it in the magazine's annual 100 Bands You Need to Know issue for 2012. Kid Is Qual also is getting ready to release a video for its first single from the EP, which was shot at Bellytimber Tavern in Richmond. When Sullivan texted me in January to see him at the Troubadour again, this time for Kid Is Qual, not Jack's Mannequin, I wondered how a guy has the guts to leave a band that plays "The Tonight Show" to do something with no such guarantees. As usual, Sullivan put it best: "I loved being in the band," he wrote me recently (edited for clarity). "Loved the dudes, loved the lifestyle, but ... let's just say ... we had a change of management. I wasn't digging on those [new] cats. ... So I had to bounce. It was really hard. ... But I had done everything I wanted to do in the band." Sullivan put it even more succinctly in a recent phone conversation. Kid Is Qual, he says, is "the band I've always wanted." Kid Is Qual will perform April 28 at Style Weekly's Shadrock Music Festival on Brown's Island. Tickets $35-$100. 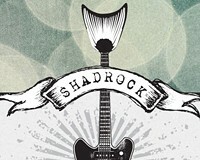 To purchase tickets or for information, go to shadrockmusicfest.com.